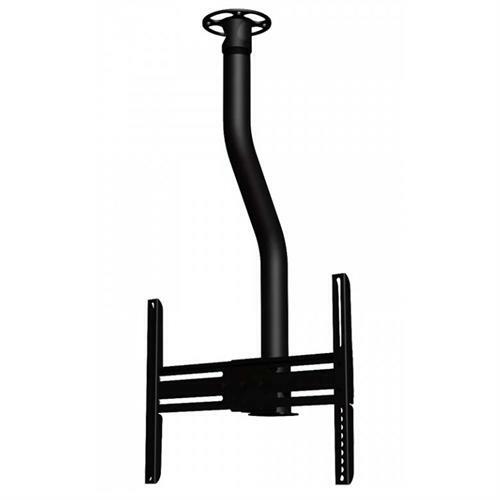 More on the Promounts Universal Tilt and Swivel Ceiling Mount for 26-40 inch Screens (Black) UC-PRO210 below. The UC-PRO210 has a very clean and sleek look that facilitates either landscape or portrait viewing while allowing 15 degrees of tilt. Shipped with high quality curved 1.5" NPT pipe. 24" - 40" flat screens up to 100 pounds. **Please note that the 15" to 40" is as along as the VESA Mounting hole patterns on the TVs do not exceed 400mmx400mm. Horizontal holespacing: between 3.93" and 31.49"
Vertical holespacing: between 3.93" and 3.93"
Range of Screens Supported: 21 to 27 in., 28 to 32 in., 33 to 38 in., 39 to 42 in.